Sarva-Devamaya Sri HARI! 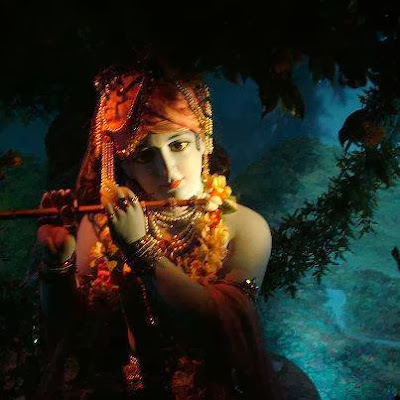 Sri Guru KRISHNA jayatu!" Ramakrishna! Ramakrishna! Ramakrishna! Ramakrishna! Ramakrishna! English Translation: Glory to Krishna, Charming One with His flute, who is the life of Sri Ramakrishna! KRISHNA is the plenitude of all deities. He is the blessed Guru and the blessed HARI! (En ESPAÑOL) : ¡Gloria a KRISHNA, el encantador con Su flauta, quien es la vida de Sri Ramakrishna, la plenitud de todas las Divinidades, el bendito Guru y el bendito HARI!